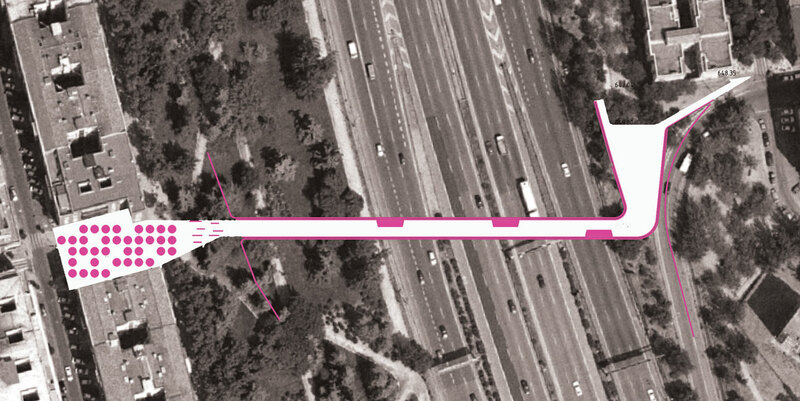 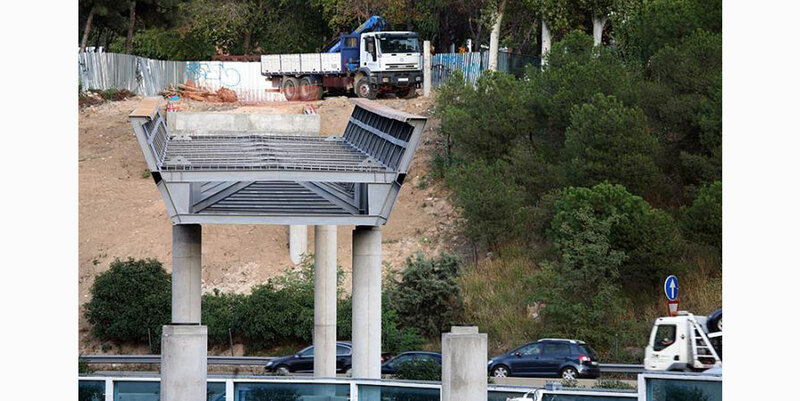 Pedestrian communication across the M-30 is conditioned in many cases to the use of traffic infrastructures and the creation of these exclusively pedestrian bridges is intended to solve this situation in two points of the east section of the M-30 where the inhabitants needed it. 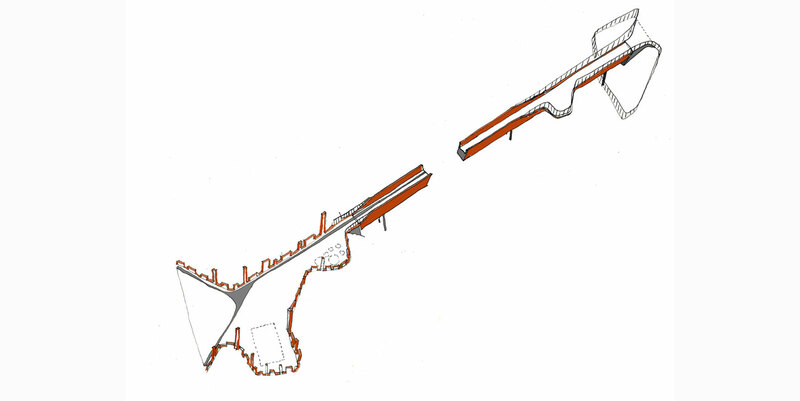 These pedestrian connections are on two relatively nearby spots, but qualitatively very different. 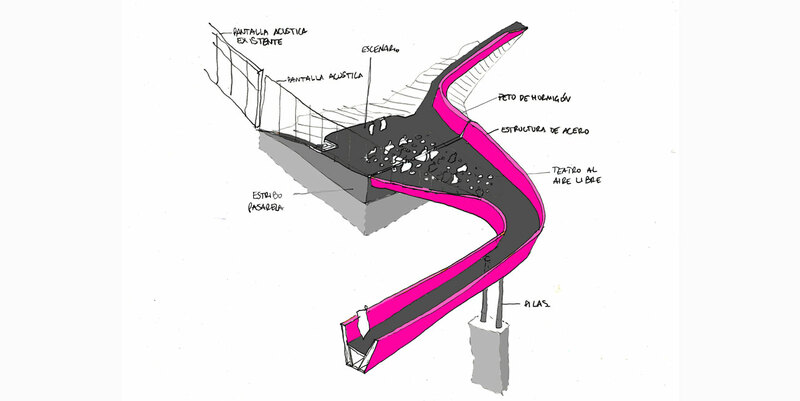 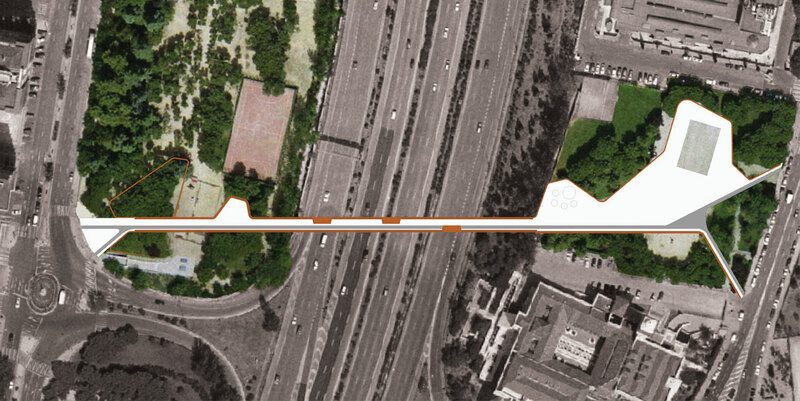 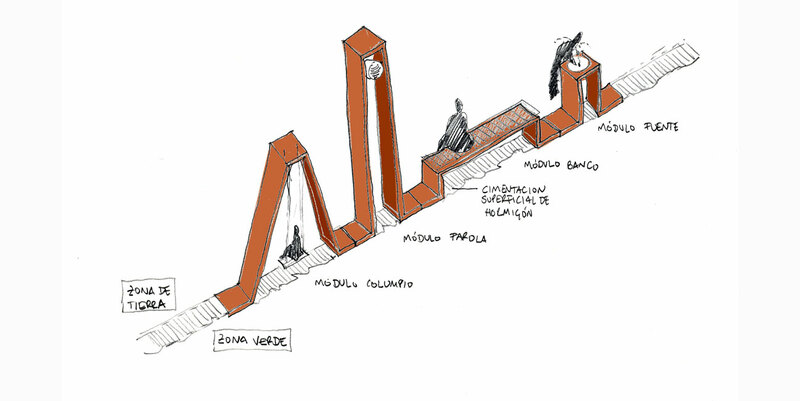 The bridge from Calle de Brasilia to Calle Salvador de Madariaga, starts inside a park and jumps into another green area, while the other bridge connecting Calle Ramón de Aguinaga with Calle San Marcelo, has its extremes in public spaces which are currently misusing its potentiality. 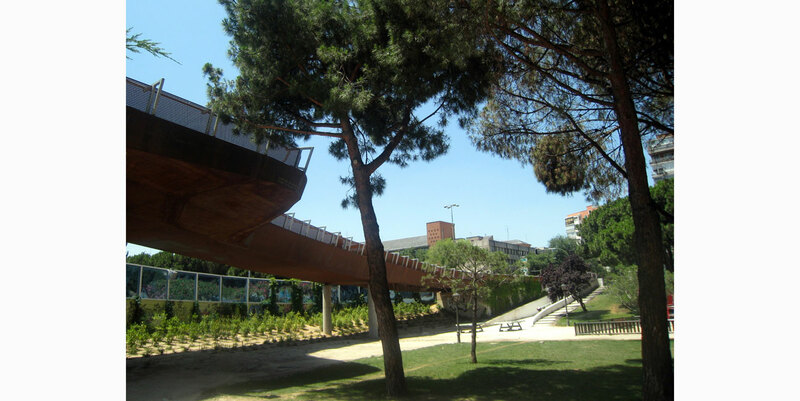 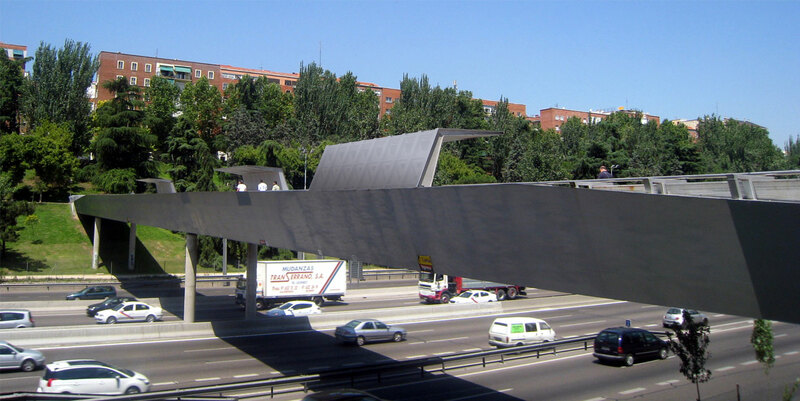 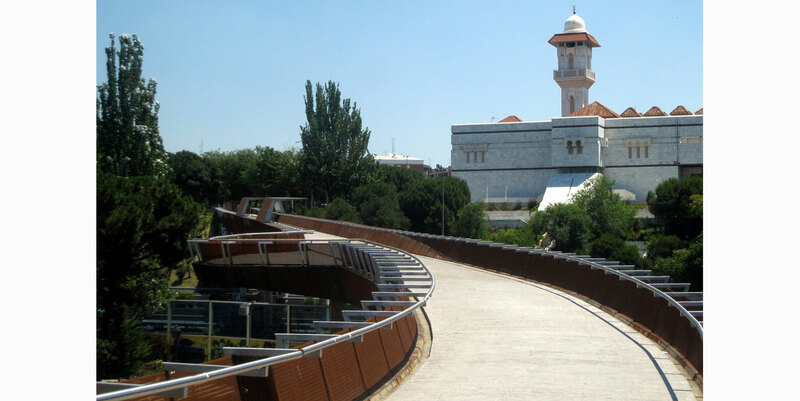 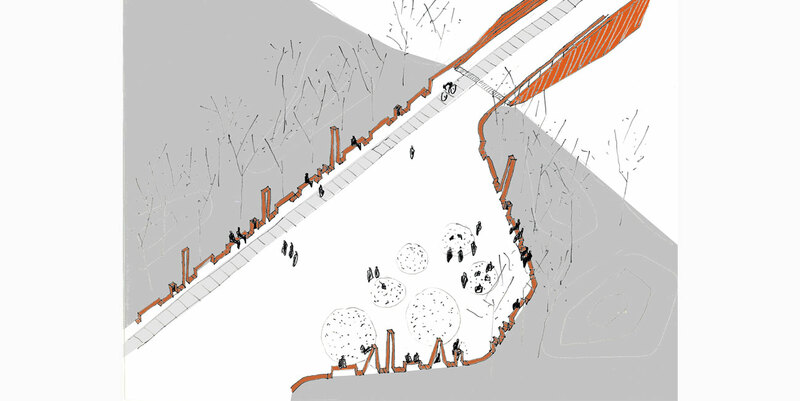 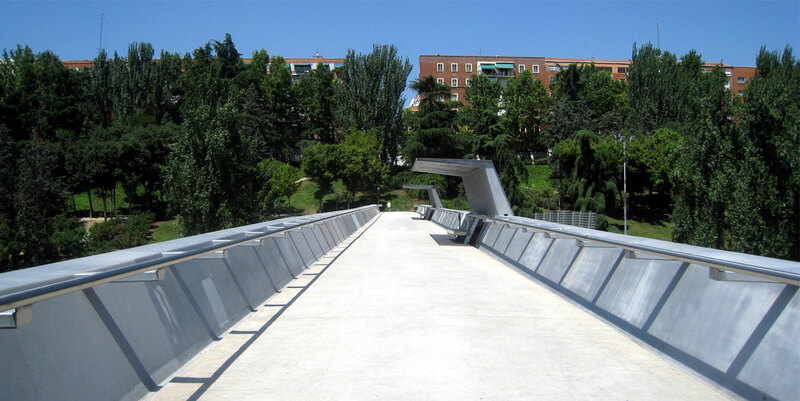 Therefore those bridges are designed as similar mechanical structures adapted to different contexts, leading to a walkway between parks, and a walkway between urban squares.